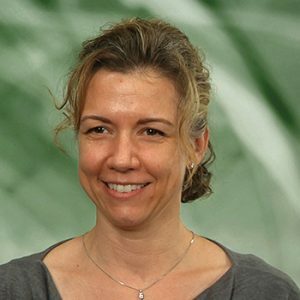 Laura Wehrli began her career in spinal cord injury rehabilitation at Mount Sinai Medical Center in New York, NY in 2000, and is currently the Physical Therapy Supervisor in Spinal Cord Injury at Craig Hospital. Laura has spent most of her career working with patients with spinal cord injuries in both the inpatient and outpatient settings. 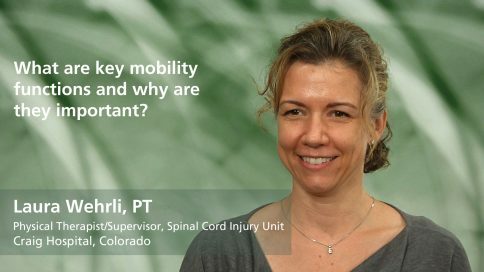 She is a presenter with Spinal Cord Injury Seminars, Inc and has also given lectures at the APTA Combined Sections Meeting, International Seating Symposium, Academy of Spinal Cord Injury Professionals (ASCIP) Conference, and Canadian Seating and Mobility Conference (CSMC). Laura Wehrli has assisted in editing chapters in two textbooks and is currently an adjunct faculty member for the University of Colorado PT program. She is now serving on the executive board of ASCIP and is a member of the American Physical Therapy Association. What is a pressure release and why is it important for someone with an SCI? What are “power-assist” wheelchair wheels?